In some organisations, some websites will only be available in the local network (and not on the internet). You can use our Internal Agent feature to scan your internal websites while the results are remaining on our Netsparker Enterprise servers. All instructions for the installation will be supplied by the support team. 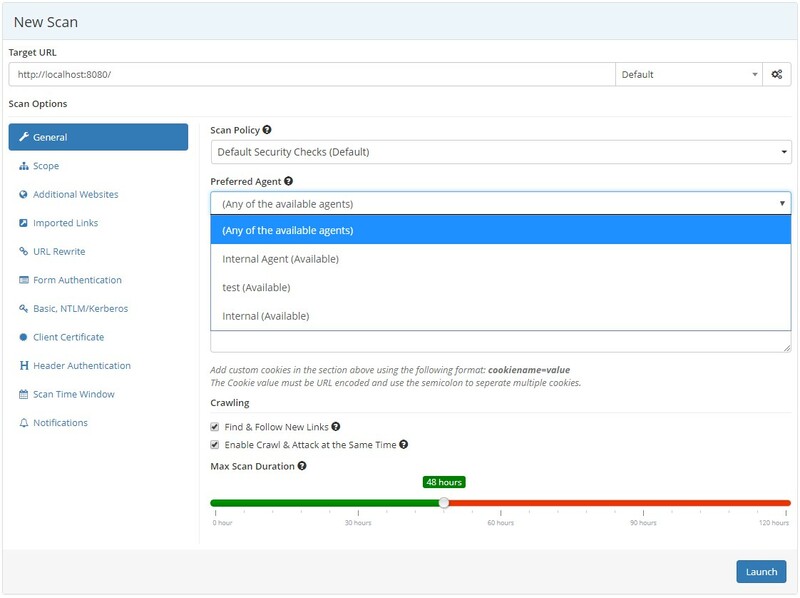 The Internal Agents feature is only available in Netsparker Enterprise (On-Demand). Navigate to the the New Website (or Edit Website) window, depending on whether you want to configure a new or existing website. In the Agent Mode field, click to select an option. From the main menu, click Scans, then New Scan. In the Target URL field, enter the URL of the internal website. From the Preferred Agent dropdown, select an internal agent to use it during the scan if there are more than one. 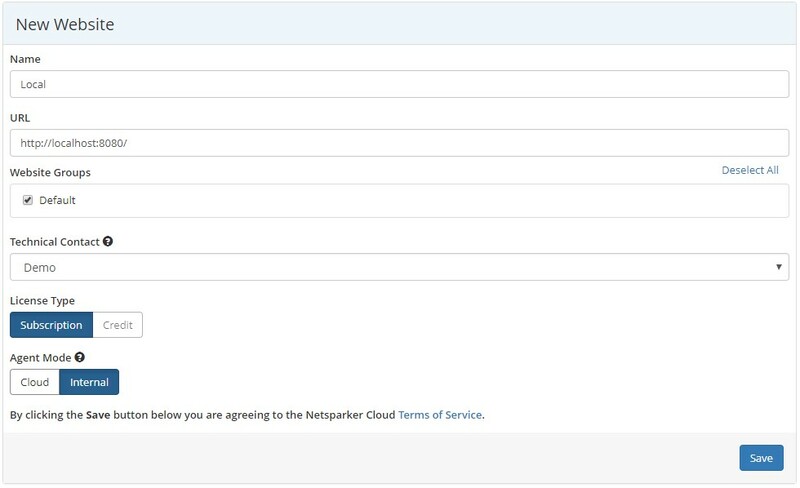 Alternatively, you can retain the default setting (Any of the available agents), so that Netsparker Enterprise will automatically select one of them. Complete the remaining fields, and click Launch.